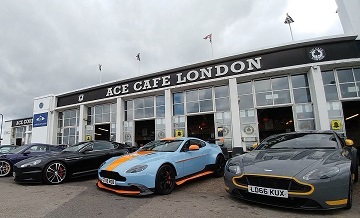 Event Description: Head down to the birthplace of British motorsport and aviation for the third Sunday morning Breakfast Club of the year. All cars are welcome to park on site until 9:30am, after which normal visitor car parking can be used. 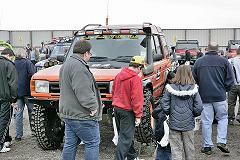 Event Description: After a very successful first year, we're delighted to announce that the Great British Land Rover Show will be back for itsfourth run at a brand new venue in the form of Stoneleigh Park near Coventry. Sponsored once again by the brilliant Bearmach, the show is set to be bigger, better and more laden with Landys than ever before! Location: Stoneleigh Park near Coventry. 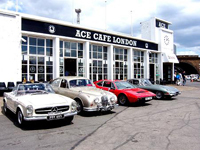 Event Description: On this day in 1897, the very first British motor races took place when the Motor Car Club, as a first anniversary celebration of their Emancipation Run from London to Brighton, organised a series of races for the De Dion Bouton motor tricycles on the quarter mile oval cycle track at Sheen House, Richmond Park. The 121st anniversary of these first of all British motor races is to be commemorated on the exact same date this year - which will fall on a Wednesday. Times:practice and fettling in the morning�. 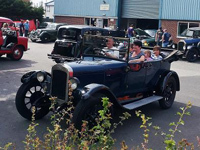 Event Description: With its usual excellent array of club stands and privately-owned displays, the Footman James Classic Vehicle Restoration Show�s 16th running looks set to be a superb attraction for all involved. 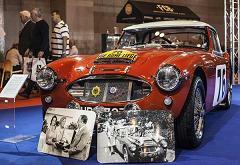 The Sunday of the show also sees the ever-popular Charterhouse Auction with lots to suit all budgets and tastes. Event Description: London to Brighton Veteran Car Run Concours, Central London. This takes place on the day before each annual Run, in Regent Street. Event Description: Transport Festival event at Lincolnshire Road Transport Museum - Displays, visiting vehicles, sales stands, refreshments, vintage / classic car rides, and a variety of buses and coaches operating free services from Lincoln City Centre and local park and ride (from Teal Park, Whisby Road (just off A46 Lincoln by-pass / Whisby roundabout) as well as the chance to ride on some of the vintage / classic cars in our collection. Event Description: The London to Brighton - Veteran Car Run is to celebrated the raising of the speed limit for 'light locomotives' from 4 miles per hour to the breath taking speed of 14 miles per hour, this being November 1896. 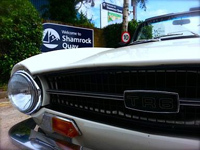 Event Description: The 18th Rally of the Tests will start from the English Riviera town of Torquay with a short but taxing prologue. On Friday, we will be taking in some of the Testers favourite venues through the West Country on our way to the overnight halt in Bristol. On Saturday, we start at the iconic RAC building next to the M5, crossing into Wales on our way to the overnight halt in Stoke. The final day will be a mix of Regularities and Tests in and out of Wales before the finish in the City of Chester. 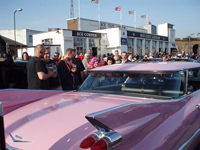 Event Description: The Lancaster Insurance Classic Motor Show with Discovery, is now the largest meet of classic car clubs in the World and it is back for 2019. 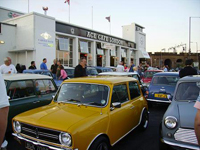 Marking the end of the classic motor season, it brings together like-minded enthusiasts from all over the UK, showcases over 2,500 classic motors covering a staggering one million square feet and prides itself on being a hub for 300 car and bike clubs to come together before the classics go into store. Both the young and old, in terms of motors and guests, will be there on the day so make sure you join them and book your tickets today. Event Description: Malvern Drive-In Classic Car & Bike Autojumble Three Counties Showground Wye Halls and outside Malvern, Worcs. 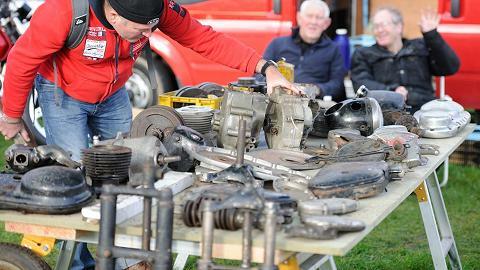 The Malvern Drive-In Classic Car & Bike Autojumble features over 100 stalls located within the Wye Halls and the outside hardstanding, and with the weather forecast to be a nice, dry winter's day, the autojumble is set to be a great day out.